The "ENERGY SUSTAINABILITY AT THE SUDOE REGION: RED PEMFC-SUDOE" project responds to the challenge of ensuring sustainable energy supply at the SUDOE region through the development of PEMFC technology with the integration of renewable sources of H2. 4 PEMFC innovative prototypes for use in transport (Automobiles and bicycles), stationary sources (Stack of> 250W power supply of buildings or public lighting) and portable (Compact system with a capacity of > 400WH and a minimum of 50W for use in computers, mobile phones etc.) constitute the End products that integrate the results of scientific-technical project activities. They will address i) the production of hydrogen from industrial waste sources in the SUDOE area, ii) the development of new materials and advanced configurations PEMFC cells and iii) evaluation environmental sustainability and creating tools for optimal design of PEMFC devices. The project will give a institutional relations in the SUDOE area between research institutions, knowledge generators, and the business sector (responsible for facilitating transfer and commercialization), and governments and social partners (responsible for integrating scientific advances in the policies and strategic plans involving citizens through strategic dissemination plans). Avda. de los Castros, 46. 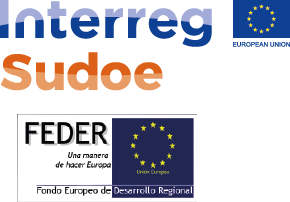 The European project “Energetic sustainability at the SUDOE region: PEMFC-SUDOE Network", leaded by researchers of the Advanced Separation Processes (PAS) group of the University of Cantabria has been approved in the Interreg Sudoe call.